• Minimum age at which this drop line overdraft loan can be sanctioned is 23 years and maximum age is 65 years. 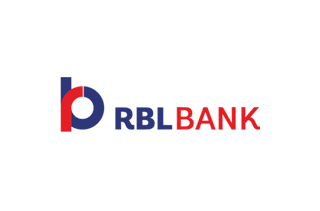 RBL Bank:- RBL Bank is one of India’s fastest growing private sector banks with an expanding presence across the country. The Bank offers specialized services under six business verticals namely: Corporate & Institutional Banking, Commercial Banking, Branch & Business Banking, Agribusiness Banking, Development Banking and Financial Inclusion, Treasury and Financial Markets Operations. It currently services over 3.15 million customers through a network of 246 branches and 388 ATMs spread across 20 Indian states and Union Territories. • Any individual who is in permanent service in the government or a reputed company. • Professionals (ie, doctors, engineers, dentists, architects, chartered accountants, cost accountants, company secretary, and management consultants only) can apply . • The applicant should be above 24 years of age at the time of loan commencement and up to 65 years or less at the time of loan maturity . 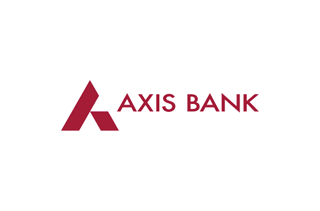 Axis Bank:- Axis Bank is the third largest private sector bank in India. The Bank offers the entire spectrum of financial services to customer segments covering Large and Mid-Corporates, MSME, Agriculture and Retail Businesses. The bank has a large footprint of 3,304 domestic branches (including extension counters) and 14,163 ATMs across the country as on 31st March 2017. The overseas operations of the Bank are spread over nine international offices with branches at Singapore, Hong Kong, Dubai (at the DIFC), Colombo and Shanghai; representative offices at Dhaka, Dubai, Abu Dhabi and an overseas subsidiary at London, UK. The international offices focus on corporate lending, trade finance, syndication, investment banking and liability businesses. Axis Bank is one of the first new generation private sector banks to have begun operations in 1994. The Bank was promoted in 1993, jointly by Specified Undertaking of Unit Trust of India (SUUTI) (then known as Unit Trust of India), Life Insurance Corporation of India (LIC), General Insurance Corporation of India (GIC), National Insurance Company Ltd., The New India Assurance Company Ltd., The Oriental Insurance Company Ltd. and United India Insurance Company Ltd. The share holding of Unit Trust of India was subsequently transferred to SUUTI, an entity established in 2003. • Age group- A person whether salaried or self employed with a minimum age of 21 years can apply for LAP. • However, the maximum age for a salaried individual is set at 70 years and for self-employed at 70 years. 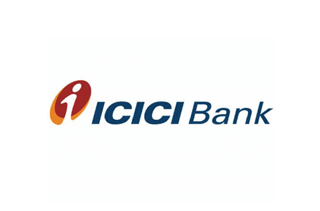 ICICI Bank:- ICICI Bank is India's largest private sector bank with total consolidated assets of Rs. 9,860.43 billion (US$ 152.0 billion) at March 31, 2017 and profit after tax of Rs. 98.01 billion (US$ 1.5 billion) for the year ended March 31, 2017. ICICI Bank currently has a network of 4,850 Branches and 13,917 ATM's across India. History ICICI Bank was originally promoted in 1994 by ICICI Limited, an Indian financial institution, and was its wholly-owned subsidiary. • Loan under LAP should be liquidated before eldest borrower attain the age of 70 years. Doctors, architects or Chartered Accountants can avail the loan under this category. • Firms, private limited companies and public companies can also avail a Loan against Property from Tata Capital if they have an income of at least Rs. 3 lakh every year and the business is at least 3 years old and is showing profit since the last two years. 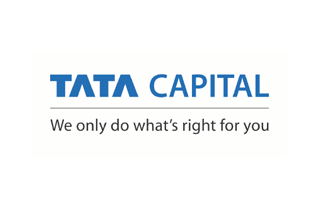 TATA Capital:- Tata Capital Ltd., a subsidiary of the legendary Tata Sons Limited established in 2007 with the sole aim of providing focused and transparent financial solutions to help people realize their dreams. The interest brought forth Tata Capital Financial Services Limited, a one-stop monetary specialist co-op that takes into account the assorted needs of retail, corporate and institutional clients crosswise over organizations. Enrolled with the Reserve Bank of India as a Systemically Important Non Deposit Accepting Non Banking Financial Company (NBFC), the organization works crosswise over different ranges of business to be specific the Commercial Finance, Infrastructure Finance, Wealth Management, Consumer Loans and dispersion and promoting of Tata Cards. Today, Tata Capital Financial Services Limited is 100 branches old and tallying. • Business proof such as VAT/ service tax registration, incorporation details in case of companies, copy of partnership deed . • Minimum Income – Rs.3 Lacs Per Annum. Yes Bank:- YES BANK has been recognized amongst the Top and Fastest Growing Banks in various Indian Banking League Tables by prestigious media houses and Global Advisory Firms, and has received several national and international honours for our various Businesses including Corporate Investment Banking, Treasury, Transaction Banking, and Sustainable practices through Responsible Banking. 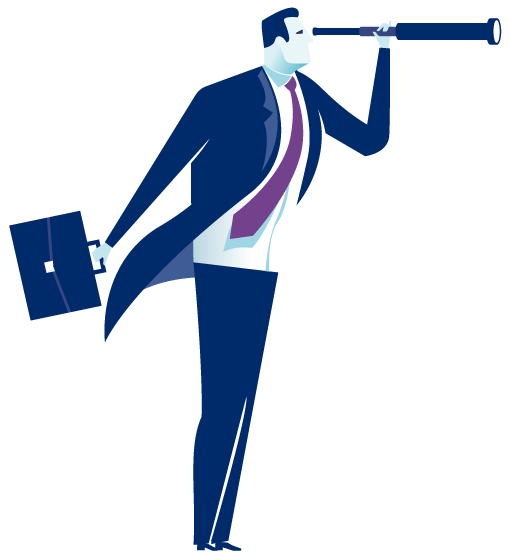 YES BANK is steadily evolving as the Professionals’ Bank of India with the long term mission of “Building the Finest Quality Bank of the World in India” by 2020. If you need some fast cash,the best way to get it is by mortgaging your property with a bank or a financial organization to get a loan. Termed as loan against property, the interest rates for these loans are considerably lower when compared to other loans. Come join hands with Antworks Money and we help you find the best LAP deal based on your requirements and your financial commitments. Our comparison table helps you compare the LAP deals offered by various renowned banks in the country. With all the essential details displayed in the table, making the comparisons and choosing the most suitable LAP is easy. One of the best and easiest ways to raise heavy loan is by mortgaging your own property with a bank. The loan provided is on easy terms, low rate of interest, fast sanction, speedy processing, and minimum documentation. Moreover, the repayment tenure is also acceptable to the borrower. We at Antworks Money assist you in finding the top LAP offers, compare LAP offers and avail the benefit of the best loan against property offer in the market. We also support in raising the required fund by the means of LAP. We have made loan application for LAP hassle free and speedy for our valued clients. Visit Antworks Money today to apply for loan against home 24x7. Today, there are a number of the private and nationalized banks ready to render loan against property to clients looking for such funds. It is a hassle-free medium to arrange fund in emergencies to meet your various needs. The important thing is saving your hard earned money on the payable interest. The financial organisations are engaged in providing attractive offers to increase their number of customer availing loan against property from them. Today, in the growing competition amidst banks, a customer can easily visit Antworks Money to take the unlimited advantage of loan against property offers and enjoy maximum saving. It is necessary to fulfil the minimum required eligibility criteria of a bank in order to avail the required loan amount against your residential property or commercial property available at any location in the country. Before you go ahead with the document processing, it is better to check your loan against property eligibility which is made available for you at your own secured company Antworks Money. Why go for loan against property (LAP) at Antworks Money? Why go for loan against property (LAP)? What is loan against property? Loan against property (LAP) refers to a loan which is availed by keeping your commercial or residential property as collateral. Loan against property is also known as secured loan. The property owned by the person applying for the loan acts as the security. The potential loan sanctioned depends on the value of the property. LAP can apply to either commercial property, or residential property, i.e. loan against home. It allows for the flexibility if transaction in your loan account based on your cash flow. It also allows for a credit line to reduce the EMIs with interest being paid only on the amount utilized. It also allows limitless pre-payments within a day. The principal amount needs to be paid only at the end of the tenure. EMIs tend to be low. This is because they comprise only of the monthly interest. In order to avail a LAP offer, you need to first make sure that you are eligible for it. Here are the factors that determine your loan against property eligibility. You are eligible to apply for LAP if you are a salaried professional employed permanently in an organization. Professionals like architects, chartered accountants, cost accountants, company secretary, doctors, engineers, dentists and management consultants are also eligible to apply for it. Self- employed individuals who are income tax payers can also apply for loan against property. Bank will consider your total monthly income as well as how much savings and debt obligations you have before considering your loan. The value of your mortgaged property is also another factor that will be taken into consideration. You should also have a good CIBIL score too and the bank will also track your previous loan and credit card bill repayment details. Your loan against property eligibility can be calculated using a loan against property eligibility calculator. The calculator will help you know you eligibility in various cities. While determining loan against property, banks factors taken into consideration by banks include property value, repayment capacity, total assets and liabilities, age of the applicant and his/her qualifications, number of dependants, spouse’s income, and legal and technical aspect of your property. Based on your eligibility, bank will decide how much amount will be granted for you to receive as loan against property. When you are going for this, it is important to choose the right offer loan against the mortgage. RBL Bank offers a loan amount range from Rs. 100000 to Rs. 20000000 with a 13.05 to 23% floating interest range. Axis Bank offers a loan amount range from Rs. 300000 to Rs. 20000000 with a floating interest rate range of 11-14%. ICICI Bank offers a loan amount range between Rs. 100000 to Rs. 20000000. The floating interest range is 10.3-11.95%. 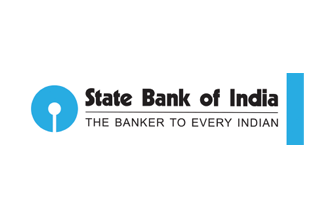 The State Bank of India offers a floating interest range of 10.5-11.95% for a loan amount between Rs. 500000 and Rs. 2000000. Tata Capital offers a loan amount of Rs. 200000- Rs. 10000000. The interest range (floating) is 10.5% to 19%. 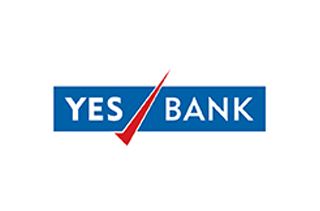 Yes Bank offers a loan amount between Rs. 100000 to 20000000. The floating interest range is 10.5% to 14.99%. Those are some of the available loan against property offers along with the loan against property interest rates to choose. Please note that the described details about offers here are subject to change without any prior notice to users by respective banks. Hence, it is advised to check the latest offers at the time of making application for LAP. It is relatively common to take residential loans nowadays. However, some people also need to take a loan for an office space, for an outlet, etc. For this, a commercial property loan has to be taken. This is provided by some banks. However, there are a few differences between taking a commercial and a residential property loan you may need to know before you select a mortgage loan offer. You can get a commercial property loan for either an office space or for an outlet. These two categories can be further categorized into two, namely ready to occupy and under construction. A majority of the lenders hesitate to lend for the commercial properties. This is because most of the people who apply for a commercial property loan are investors. The lenders are happier to lend a commercial property loan to the individuals who want this loan for their own business, and this also is applicable for an under construction property. Here are few of the common differences between commercial and residential property loans. Loan to value ratio refers to the proportion of your property value that bank will finance. The remaining amount is known as down payment and in the case of residential property, it ranges between 75-90%, however, it is restricted to a maximum of 55% for commercial purchases. This means when you go for a commercial property loan you would need to provide a major share from your pocket. The processing fees which you need to pay for a commercial property loan is higher when compared to that for a residential property. As for residential property, it is generally a maximum of INR 10,000. In case of commercial, it is mostly 1% of the loan amount. When it comes to interest rate, the interest rate payable for the commercial property loan is a bit higher when compared to the interest payable on the residential property loan. There is a huge difference between the tenure of a commercial property loan and a residential property loan as the tenure period of a residential property is a maximum of 30 years usually whereas the tenure period of a commercial property loan is a maximum of 10 years. If the commercial property loan is for an under-construction property, then it becomes extremely important for the lenders that the property be completed on time. Generally, commercial properties take lesser time for construction than a residential property and so to decide whether to lend or not, the lenders also look at the previous records of the builder regarding delivery-schedule. However, there are no such checks regarding residential properties. If the builder has a bad reputation regarding the delivery of the projects, then the loan application might be rejected. Before lending, the lenders verify the technical specifications of the property: shafts, lifts, elevators, fire-extinguishing arrangements, emergency exit, double staircase, etc. to ensure that the property complies with all the required technical specifications. The lender will send an authorised technical evaluation team to verify each and every technical detail, and while verifications do exist for residential properties stricter compliance is required for commercial properties. To be approved for a commercial property loan, the builder of the property will need to present the approved clearances for the building plan, clearances from the fire department, etc. There should not be any risk of demolition involved due to any pending approvals or rejections. Similar verifications do exist for residential properties, but strict compliance is required for commercial properties. While borrowing for a commercial property, the borrower and the builder/seller may try to value the property higher to avail higher loan amount and so, in order to counter it, the lenders outsource property valuation to an expert evaluation team. 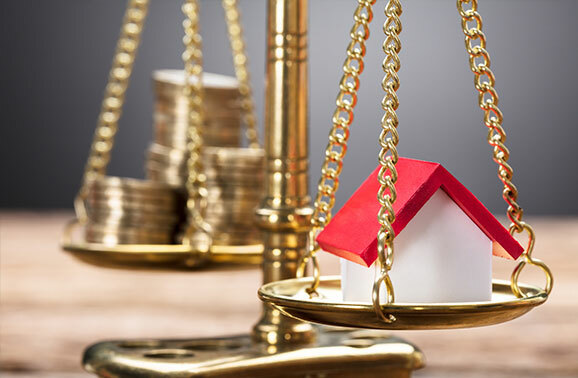 The team consists of many experience valuation-agents who independently evaluate the property and then submit report the lender, of which the lender considers the valuation which is of the lowest value in order to lower the risk. Older properties have a greater chance of not being compliant with the technical requirements of the loan. Aside from this, the residual age of the property or the duration for which the property will remain usable before being demolished is also much less compared to the newer constructions as older properties might not have the basic modern requirements such as fire exits, fire safety, emergency evacuation plan, all of which increase the risks involved, and hence the chances of loan application getting rejected. Unlike residential properties, the lenders tend to fund only a minimum area in the square foot for commercial properties. But a lender might also reject to fund an area which is less than 250 sq. ft. as this varies with the lender to lender. It would be wise to check with them or your financial advisor before making any decisions. Antworks Money has the prestige of being one of India’s fastest growing online financial services portals. We offer online users wide range of Secured and Unsecured loan options, P2P loans, free credit scores, and credit counselling services. The company is working on the mission of building India’s Most Trusted Online Financial Services Company. It is similar to a Digital bank wherein customers can get most of services provided by a Bank in a convenient manner. A large portion of the Indian population don’t get their credit requirements fulfilled through formal lending channels like Banks and NBFCs due to factors like complex manual credit appraisal system, information asymmetry and limited access, lack of trust, high operating costs, etc. Sensing the dire need of technology to fill this gap and bring efficiency, trust and transparency in the lending industry, Antworks Money had been founded by Rajeev Mahajan and Subhayu Ghose. It also acts as an online market place that facilitates loans to consumers and businesses and offer lenders an opportunity to finance the loans. Our goal is to democratize the banking and consumer finance industry to make it more transparent, easily accessible, consumer focused, and cost efficient. Our aim is to to provide a credible alternative to traditional way of financing in India with an online market place that uses technology and a more efficient funding process to lower operational costs and deliver a better experience to both borrowers and lenders. Now meet your financial need of any kind by Mortgage Loan Offers made available by the various banks. To learn more about it and to find the lowest loan against property interest rates, visit Our Blog today! AntworksMoney is one of the fastest growing financial services portal in India. We welcome your feedback and suggestions to improve our services.